Enjoy the most comprehensive sync & brands programme to be found on the European music conference circuit at this year’s Reeperbahn Festival. Under the heading music.brands. (e)motion we’re once again offering sessions on a wide variety of topics, featuring fascinating speakers, including Anne Stilling (Vodafone, DE), Anny Colvin (JAX @ Rock Paper Scissors, US), Christopher Mazur (Netflix, US), Marcus Adam (McFIT GLOBAL GROUP, DE), Tina Funk (VEVO, DE), and many others. See below for more information about recently confirmed music.brands. (e)motion sessions and speakers. And be sure to book one of the few remaining spots at the matchmaking session Meet The Music Supervisors – a business trip around the world in 2 hours including 10 one-to-one meetings with some of today’s most dynamic music supervisors. 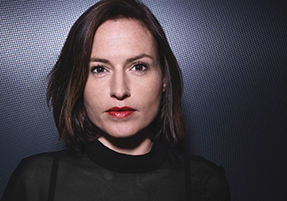 For our series Brands On Music, Anne Stilling (Head of Advertising and Media, Vodafone, DE) and Nadin Lefkeli (Managing Director, White Horse Music, DE – photo) will explain how they infused music into the DNA of Vodafone communication strategy. With a marketing strategy that pretty much breathes music, the health club chain John Reed Fitness Music Club shows just how closely sport and music can be intertwined in day-to-day life. Marcus Adam (Head of Marketing and Music, John Reed, DE) talks about how and why he and his team decided on a modern fitness club concept that’s centred entirely on music. For years, Vodafone’s advertising campaigns have featured new music by young artists – and they’ve helped launch the careers of many acts in the process. For the first time, Reeperbahn Festival delegates will have the chance to present their music at an in-person pitch – and perhaps see their song become the next Vodafone song! Towards the end of August, all music companies with a Reeperbahn Festival accreditation will receive a briefing and can then submit a song. 15 songs will be selected and their submitters will be invited to the scouting session to play their song and explain why they think it is suitable. 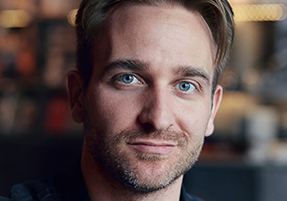 The creative executives Jens Pfau (Jung von Matt, DE – photo) and Julian Krohn (White Horse Music, DE) will then give their assessment – all in front of a professional audience that can attend the selection process. For the fourth year in a row, BMG and Weischer Media will present Cannes Lions - Best Use Of Music at Reeperbahn Festival. The panel will consist of jury and Cannes Lions Awards winners, where they will talk about their work, while BMG and Weischer Media will present this year´s best clips and cases. 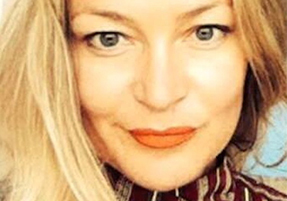 Sitting at the helm of the panel are Christiane Gillissen (Brand Experience Manager, DE), Lena Obara (Cannes Jury member Entertainment Lions for Music, DE – photo), Dennis May (CCO, DDB Germany, DE) and Simon Heeger (Managing Director & Founder, 2WEI Music, DE). You successfully placed a song. Great! So … what’s next? At You've Got The Sync – Now What? we offer answers. 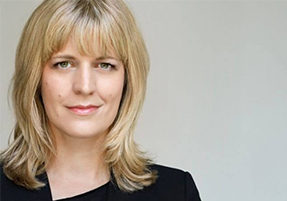 With Bettina Dorn (Senior Director of Brand Partnership Central Europe, Warner Music, DE – photo), Patrick Cloherty (Senior Synchronization Catalog Manager, Sentric Music, GB), Marcel Wiebenga (CEO, Sizzer Music, NL) and Vikram Gudi (Founder / CEO, Elephant Music / Split Music, GB). Willy Kaussen (Chief Creative, Freunde des Hauses, DE) will present and play around with his favourite creative ideas that have music at their core at I Wish I Had Done That. And at our traditional closing event, A Real Horror Story: What Can Go Wrong In Sync And How To Avoid It, moderated by Vikram Gudi (Founder / CEO, Elephant Music / Split Music, GB), creative music professionals share their horror stories of catastrophes, failures, and slip-ups at work. Reeperbahn Festival will take place from 19 – 22 September in Hamburg, Germany. Conference Tickets for Reeperbahn Festival can be purchased online for €245.00 (+ VAT and sales fee). Register here. Also, we have put together a great selection of hotels located on and around the Reeperbahn. And we have arranged great travel offers with our partners available to all registered delegates of the Reeperbahn Festival 2018.